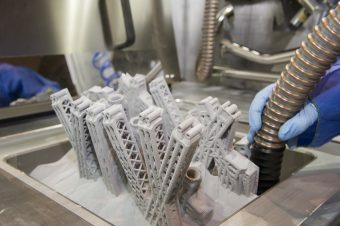 Additive Manufacturing has been noticed in headlines around the world, and primarily in the United States. The frustration in the industry is the significant media attention to the ever-notorious 3D printed gun debate, re-ignited by the U.S. government’s recent decision to legalize the proliferation of 3D printable gun files. And while it may be worth talking about gun regulation and control (especially in the United States! ), 3D printing’s role in the matter is, unfortunately, overshadowing many of the non-destructive, incredibly positive things that people are using 3D printers for. To highlight some of the positive impacts that 3D printing is having around the globe, here is a list of five of the top ways that the technology is making a difference for the environment, health, culture and more. In recent years, the benefits of using 3D printing for various disaster relief efforts have become increasingly apparent. Perhaps the most compelling use of Additive Manufacturing for disaster relief was by Field Ready, a tech-oriented NGO, which relied on 3D printing to make water pipe fittings and washers on the fly after the severe earthquake in Nepal in April 2015. In other words, 3D printing’s suitability for producing spare parts has the potential to help communities in disaster areas to rebuild infrastructure more quickly. From another perspective, makers in Japan devised a 3D printed drone, the X VEIN, built specifically for rapid disaster relief and specifically search and rescue missions. Other example is in the Solomon Islands, where Lulzbot 3D is 3D printing wasted plastic. The last disaster relief application for 3D printing can also have a positive impact outside of disaster areas, as 3D printed housing has been touted as a possible solution for low-income housing. Earlier this year, ICON and New Story made headlines for their $4,000 3D printed house. The 3D printing technology used for the build is reportedly capable of constructing a single story, 600-800 square foot home in under 24 hours and is ultimately intended for producing housing in developing areas. Creative design agency Framlab also proposed the development of 3D printed pods to help house New York’s homeless and, eventually, to combat homelessness in every city. The pod project, called Homed, consists of a pre-fabricated outer aluminum shell with 3D printed polycarbonate interior modules and fitted with a customizable range of interiors. 3D printing made prosthetics cool and affordable. Almost as soon as affordable 3D printing technologies became available, literally dozens of projects have focused on using them to produce prosthetics at accessible costs to people in developing countries or to children. Projects like Open Bionics and companies like 3D Life Prints took it to the next level in terms of complexity and reach. OpenΒionics works as an open-source initiative for the development of affordable, light-weight, modular robot hands and prosthetic devices, that can be easily reproduced using off-the-shelf materials. Their robot hands cost less than $100 and weigh less than 200g while their new anthropomorphic prosthetic hand costs less than $200 and weighs less than 300g. A 3D printed optimized aircraft part from APWORKS, Airbus Group. You could write hundreds of pages on the benefits that industrial Additive Manufacturing is bringing to industries such as aerospace, aviation, automotive and even energy production., However, strictly in terms of immediate benefits to humanity, using 3D printing in industrial can help in many ways. For example by reducing waste and producing on demand. However one of the biggest benefits is weight reduction through part geometry optimization. This can become cost-effective only through the use of AM and in the near future, it will reduce emissions from airplanes and cars by millions of tons. By the way, many current metal direct energy based Additive Manufacturing technologies (powder bed fusion and directed energy deposition) are very energy intensive. This, however, is an entirely relative issue if the energy used is produced from renewable sources placed near the production plant. In addition, upcoming technologies such as production level metal binder jetting may significantly reduce energy consumption. Pilot test study on large-scale restoration techniques.Pilot test study on large-sale restoration techniques.Some of the most diverse ecosystems on the planet, coral reefs are also some of the most fragile. In recent years especially, the underwater ecosystems have suffered tremendously from rising water temperatures and are not expected to survive for much longer. 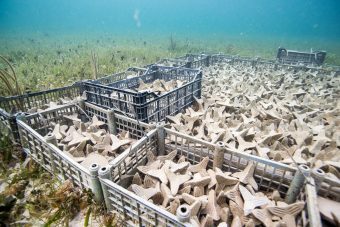 The grim reality of coral reefs is uplifted somewhat by a number of recent efforts to use Additive Manufacturing to reinvigorate coral growth and sustain the many aquatic species that live in the reefs. One such effort is being heralded by Emerging Objects, Boston Ceramics and the SECORE organization and consists of 3D printing settlement substrates that meet coral larvae’s needs as well as requirements for effective reef restoration. Fabien Cousteau (the grandson of oceanographer Jacques Cousteau), has also been a proponent for integrating artificial 3D printed coral into reefs. Because of Additive Manufacturing’s ability to create internal geometries and textures, real coral structures can be mimicked. The hope is that by placing these coral lookalikes in the ocean, coral polyps will be able to grow around them and species dependent on coral for protection can thrive. Previous ArticleWhat kind of future thanks to Additive Manufacturing technologies?